Depending on the subject matter my interpretation can be figurative or abstract. 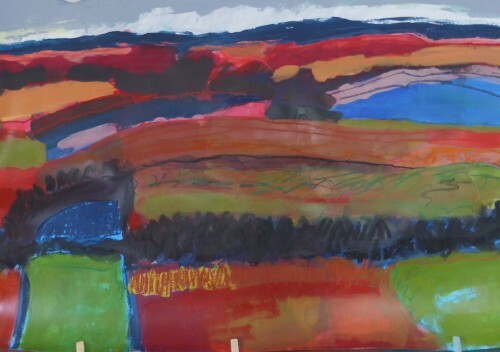 Working from direct observation and sometimes photographs I make initial colour studies using collage and paint, elements of which are used for the final piece. 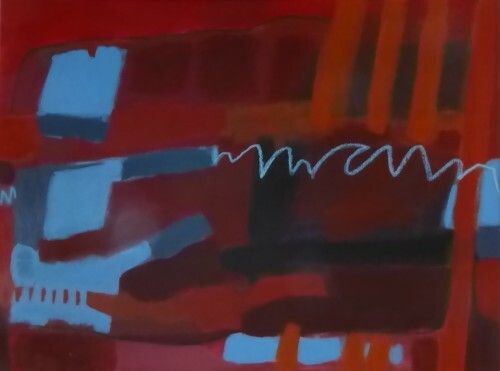 Focussing on colour, shape and texture I like to use a variety of media to interpret different aspects of my investigations. 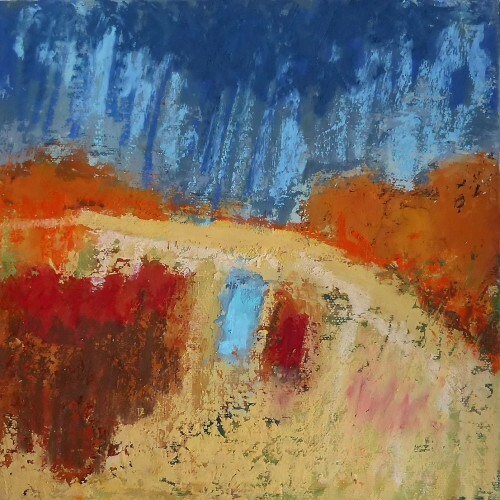 Although the majority of my work is abstract and often intuitive I believe it is inspired by my natural surroundings be it weather or landscape often influencing my colour choices. 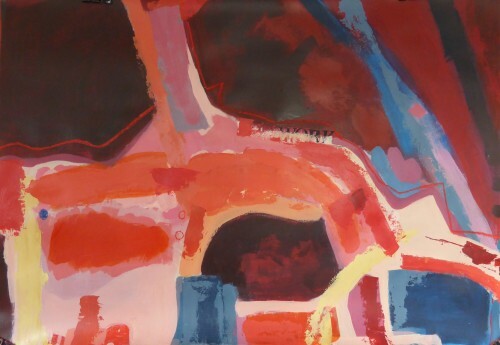 I enjoy playing with colour and texture inviting the viewer to examine all areas of the painted surface. I am lucky to live on the North West coast of Scotland where the spectacular landscape changes frequently influenced by rapid changes in weather and light. Biography Rosanne Wiseman was born in Fife in 1951 but has lived in Aultbea, Ross shire since 1969. 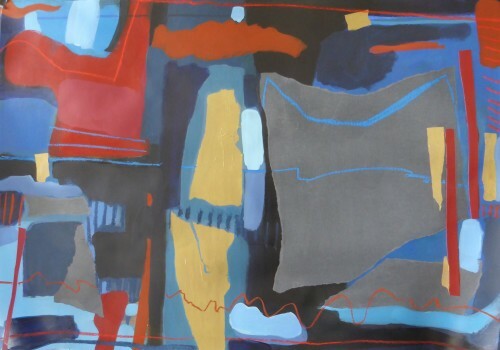 Returning late to study she gained a BA (Hons) Painting degree in January 2018 from the University for the Creative Arts. 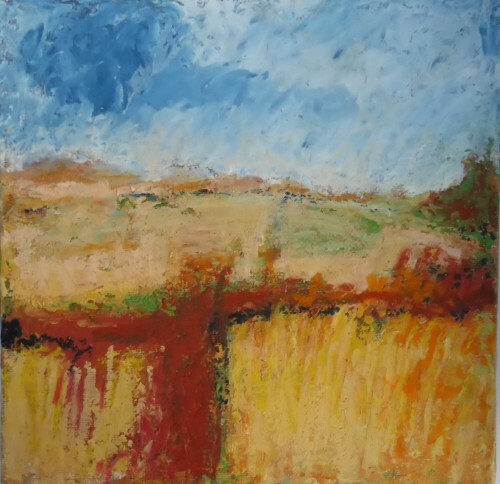 Rosanne works from her studio in Mellon Charles, Aultbea and regularly exhibits at local exhibitions and art fairs. 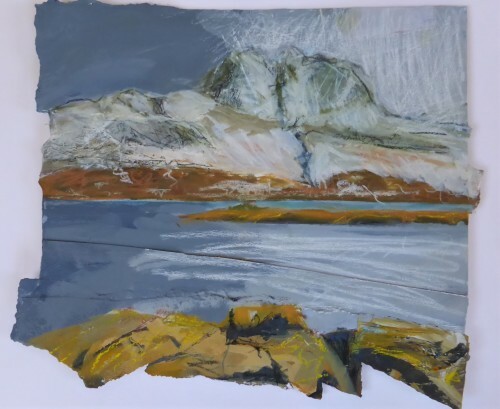 She is also a member of An Talla Solais Gallery, Ullapool, The Society of Scottish Artists (graduate member) and The Lonely Arts Club, Inverness. 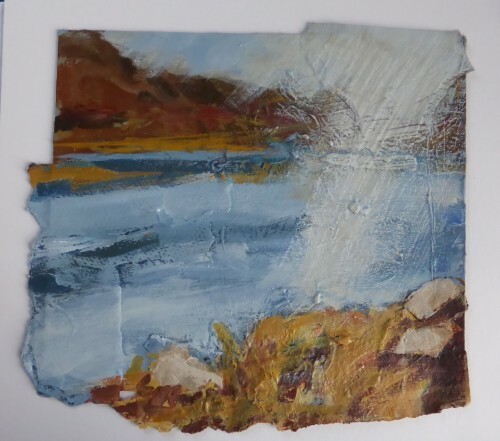 2018 Society of Scottish Artists, Small Works. RSA Edinburgh. Members Show. An Talla Solais Ullapool. Maggie Blyth Boutique, Inverness. Mixed Show. UHI Campus Inverness LAC Group show. Pop Up Exhibition with Dawn McTaggart (printmaker) at own home. Inverness Museum and Art Gallery, Lonely Arts Club, Members show. Inchmore Gallery, Inverness. Christmas CD Collection .